An outdoor enthusiast’s wonderland all year round, Monterey County is the perfect destination for nature lovers and fresh air breathers, for curious hearts and adventurous souls. Fall is a particularly special time of year to visit Northern California’s coastline; the weather has cooled and the summer crowds have thinned, making it the perfect setting for hiking! 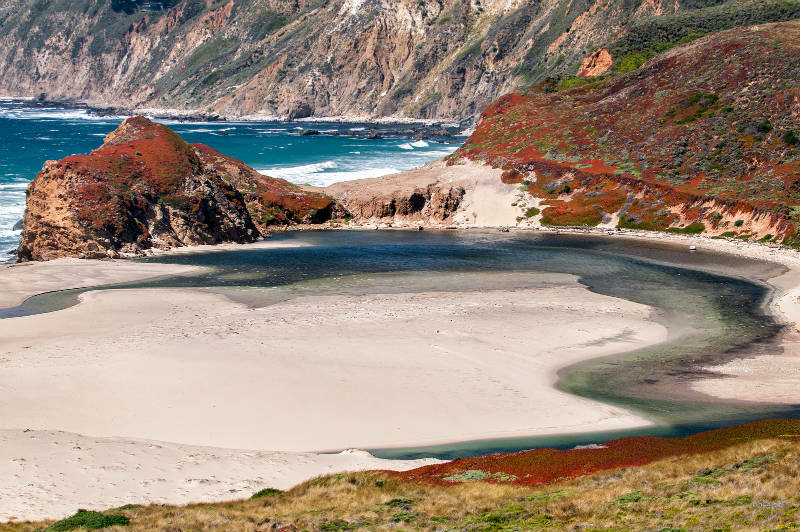 See our guide to the best hiking near Monterey, CA and book your fall getaway today. Often referred to as “the crown jewel of the State Park system,” Point Lobos is a Monterey hiking must. Offering a variety of trails and terrain, this is a fantastic venture for hikers of all levels. All of the trails are relatively short, less than a mile and a half, but you can expect something exciting at every turn. 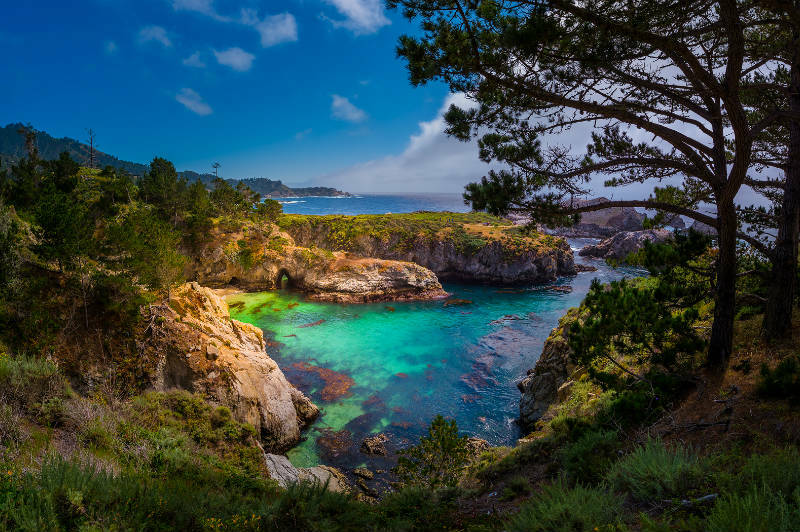 If you take the North Shore Trail, get ready for a climb as this adventure starts with a staircase transporting you to the most incredible vistas of Pebble Beach and Carmel’s coastline. Enjoy these views for the remainder of your hike. Don’t worry, Point Lobos State Reserve offers so much more! With aptly named trails to guide you, it might be difficult to choose just one path to go down. Discover a beautiful Cyprus grove on the Cyprus Grove Loop. Spot some sea lions along the Sea Lion Point Trail. Enjoy a mile of gorgeous coastline views on the South Shore Trail. Take the Bird Island Trail to observe Brandt’s cormorant nesting area. Mound Meadow Trail will take you through a mystic wooded area on your way back to the parking lot. This is the perfect path for novice hikers or those of you who prefer instant gratification. Take the Skyline Nature Trail from the parking lot and within the first steps, you’ll be greeted by sweeping views of Point Lobos and Carmel Valley. This well-marked trail is just under a mile long with the option to turn left onto Iris Trail to head directly back to the parking lot. Or, if you’re not done trekking, turn right on Iris Trail and follow it to Rhus Trail to add about 1.8 miles of breathtaking views to your adventure. Carmel Valley’s most popular hiking spot, Garland Ranch Regional Park is known for its steep trails and their rewarding views of Monterey Bay, Santa Lucia Mountains, and even a waterfall! In addition to the awesome wildlife along the way, this park is dog friendly so you might cross paths with hikers and their canine counterparts. Get ready for challenging climbs and daunting descents, all of which are worth it for the welcomed encounters of sprawling meadows, peaceful ponds, and of course, the breathtaking panoramic views. 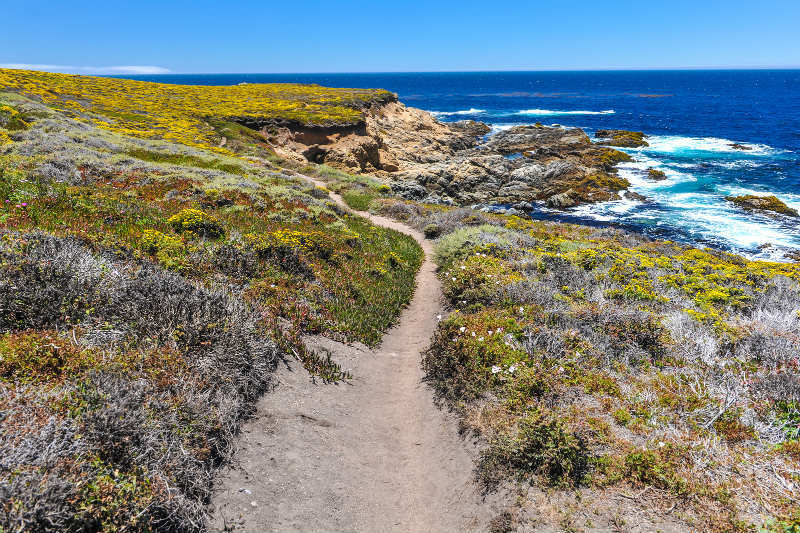 With over 20 miles of diverse hiking trails near Monterey, Andrew Molera State Park is a great place to spend the day. Whether you prefer beaches or bluffs, you better believe this Big Sur park offers both, and then some. The Beach Trail will take you along the Big Sur River and out to its beach, a perfect stroll for most. 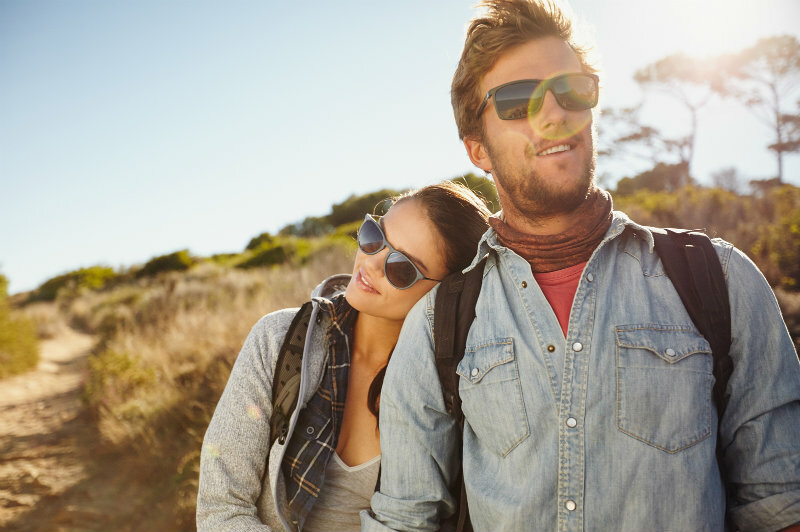 For those wanting a bit more exercise, the Bluff Trail will take you from the sandy beaches up to the ridges and bluffs of Big Sur where happy hikers will be greeted with panoramic coastline vistas as they continue on Panorama Trail. Ridge Trail is found next via a strenuous incline and even more spectacular views of the Big Sur Valley. Although the entrance might be easy to miss from the road, this trail should not be missed! 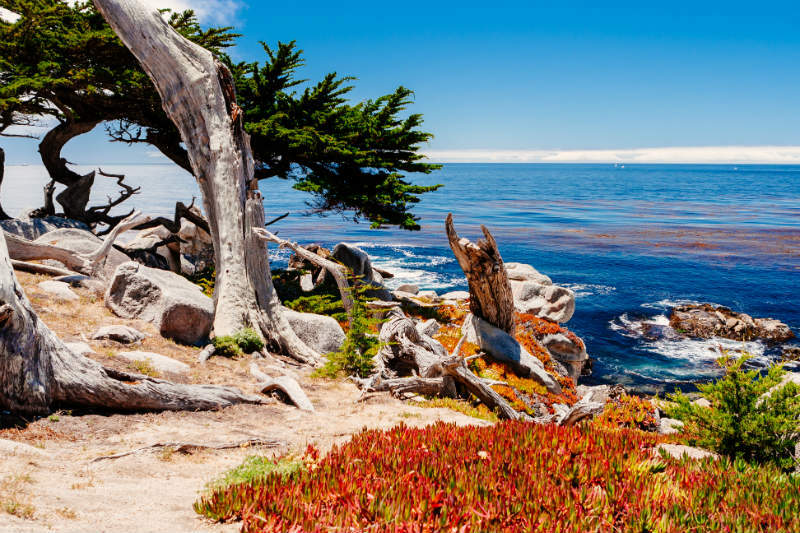 We recommend this Monterey hike to the more experienced trekkers as it is a 7-mile loop and boasts an elevation gain of nearly 2,000 feet. If anything, be sure to wear shoes with good grip to conquer the steep rocky ridges. Along the way, you’ll witness some of the most spectacular coastline sights that Big Sur has to offer. You’ll also journey through canyons filled with magnificent redwood trees, giving you a very diverse and complete Northern California experience. This is just the tip of the iceberg when it comes to hiking near Monterey, California. Whatever it is you’re looking for, we’d be happy to help you climb to new summits and reach new heights. Book your stay at our charming Monterey bed and breakfast, where you’ll enjoy gourmet meals to fuel you for your adventures and peaceful luxurious accommodations to comfort you upon your return. This entry was posted in Activities and tagged Big Sur hiking, fall getaway, hiking, monterey hiking trails. Bookmark the permalink.